The City of Cascade provides water and sewer service to city residents. To report a water or sewer problem call City Public Works at 208.382.4279. Standard telephone service is provided by Frontier Communications at 208.634.6100. Numerous companies offer cell phone plans. Internet service is provided by Frontier Communications at 208.643.6100, Exede Internet at 855.627.2459, Allconnect at 844.204.5864, HughesNet 866.423.5769, and Cable One at 877.692.2253. Cable television is provided by Cable One at 877.692.2253. Satellite TV is also available from various providers. Idaho Power Supplies electricity, contact them at 800.488.6151. Numerous companies offer propane and heating oil. Lakeshore Disposal provides garbage collection services, contact them at 208.634.7176. The Cascade Golf Course includes an 9-hole course with 4 sets of tees set up to play eighteen holes with a different shot to the green on each round. For more information contact 208.382.4653. The Cascade Public Library is open Monday – Friday 11:00 am – 6:00 pm and Saturday 10:00 am – 3:30 pm. Along with books, periodicals, CDs, video tapes, and DVDs to loan; the library has many outreach and children’s programs. For more information, call 208.382.4757. The library is located at 105 North Main Street. The Cascade School District consists of an Elementary School and Cascade Jr-Sr High School that share the same campus located conveniently in town. With a total enrollment of 260 students, students receive much individualized attention. The Alzar School offers academic semesters for motivated high school sophomores and juniors. These semesters immerse students in a rigorous, challenging educational setting that emphasizes leadership training. Dial 911 for emergencies. Police services are contracted through the Valley County Sheriff’s Department, for non emergency assistance call 208.382.7150. ​Cascade has an array of public parks offering recreation opportunities, social gathering areas, and opportunities for solitude. ​​The SVCRD sincerely thanks everyone that supported the dream of the Cascade Aquatic and Recreation Center! The facility is now OPEN! They offer swimming programs, gym facility, youth and sports programs of all varieties, personal training options, and more. For more information contact 208.382.5136. With four distinct seasons each having its own unique quality Cascade, Idaho provides opportunity for an active, engaging lifestyle for residents and visitors alike. It is hard to imagine a better setting than Cascade especially if you love great scenic beauty, fresh mountain air, warm friendly people and unlimited recreational activities. Contact the Cascade Chamber for more information or to help strengthen our community by joining the chamber. The Cascade Building Department handles building permit requests and code compliance. For more information call Sally Gossi, Building Inspector, at 208.315.1853 or her cell phone 208.315.0691. The Cascade Planning Department handles zoning issues. For more information call 208.382.4279. These links are being provided as possible resources for our local military families and veterans: American Legion and Idaho Department of Veteran Affairs. For relocation assistance with home services reach out to InMyArea.com/military. Mountain Community Transit – Green Line – offers transit service between Cascade and McCall, call (208) 634-0003 for more information, or visit web: https://www.treasurevalleytransit.com/mountain_community.php. S.W. Idaho Transit offers transportation services to seniors & disabled individuals in rural Idaho, call (208) 365-4461 or (800) 273-4462 for more information, or visit web: http://www.eoaidaho.org/index.html. Rehab.Help.org is a community organization dedicated to empowering people suffering from substance abuse addiction with tools and resources to start their personal journey toward recovery. 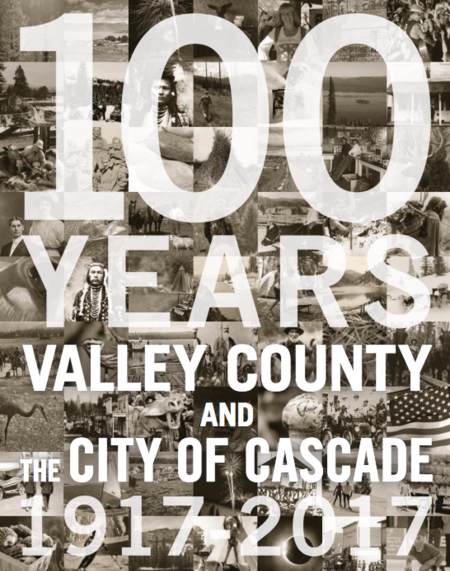 HAPPY BIRTHDAY CITY OF CASCADE! We celebrated 100 years on July 17, 2017. Explore our history and resilience over the last 100 years in the official Centennial Magazine.